Not so Special, eh Kell? 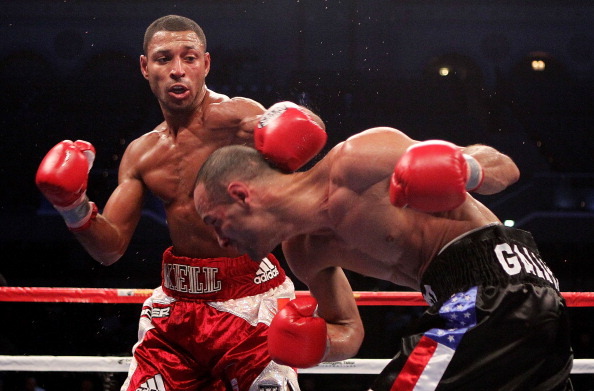 Kell Brook came through the toughest test of his career to date as he held onto his unbeaten record in Sheffield. Brook was pushed all the way by Carson Jones as he won the IBF Eliminator via a points decision. ‘Special K’s’ record now stands at 28-0 after two of the judges scored the bout 116-113 and 115-113 in favour of the hometown hero, while the third judge ruled it a draw. Cheered on by the hometown crowd, Brook raced into an early lead as he constantly out-classed Jones during the first half of the fight; leaving Jones baffled and looking distinctly ordinary. Brook established his jab early and was boxing superbly; showing a wide array of shots, good footwork and a willingness to tie up and work on the inside. However Jones continued to come forward and apply the pressure in the final six rounds, and even breaking Kell’s nose in round 8 following a short right from the American. No matter what Brook did, he could just not stop Jones from coming forward. Jones, who won his last 8 fights by stoppage, looked like he was on his way to doing that in the 9th as he wobbled Brook who was saved by the bell.Brook seemed to wobble Jones in the 10th but that was a fleeting moment of success. To his credit, Brook displayed real heart and courage as he refused to buckled under the intense pressure of Jones. He decided to display his macho side in the 12th as he went toe to toe with Jones, as he silenced any doubts about his chin or heart. Following the fight, Brook admitted he needs work on things for future fights. There’s no doubt that Brook proved his chin and heart, something that his critics have wondered about him. That’s not the worry. The worry for Team Brook should be how Brook seemed to gas-out following his start. Now the broken nose could have affected this but even before that he was starting to look a little sluggish. Another slight worry is Brook lack of power and if his stamina issue isn’t corrected, not having that big punching power could really come back to hinder Brook. Now people tend to over-react to performances like this (see Amir Khan – Bredis Prescott). We may have just found a style that Brook struggles with (similar to Amir). There’s nothing wrong with that. It’s what Brook does next, what he does to adjust that really counts. Brook and promoter Eddie Hearn made all the right noises following the fight, about taking another fight (Argentinean Hector Saldivia) before going for the IBF title. It’s something I’d agree with and it will allow Brook to work on certain aspects of his fight game before he has a title shot. This isn’t a time for massive changes for Kell; it’s about fine-tuning certain aspects of his fight game. We’ll see just how special, ‘Special K’ really is. Time for Kell Brook to make a statement. He’s already proved he’s the best in Britain following his one-sided beat-down of Matthew Hatton and now is his chance to prove himself on the international stage when he takes on America’s Carson Jones tonight. Jones has a record of 34 wins (24 by KO), 8 losses and 2 draws and is ranked above Brook in the IBF rankings and is sure to present his sternest challenge so far. Fact is both these two now have the toughest fight of their careers when they face off against one another tonight and a title shot against the winner of Randall Bailey – Devon Alexander awaits the winner. It’s time for both of these fighters to show whether they are ready to mix with the title holders. The build up between the two has been pretty fiery, with the two clashing at the weigh in yesterday. Hopefully that means we’ll see an exciting fight. Brook is definitely the better boxer and the more rounded fighter and I fully expect him to come through and win this. Brook cannot contemplate a loss here as it will set him back a fair way; especially after all the good work (in the ring and promotional wise) he’s done since hooking up with Eddie Hearn at Matchroom Boxing. I’m still unsure of how Brook is going to win though. He’s come out and said he’s going to be aiming right for Jones head and looking to take him out but we haven’t really seen how Brook’s power stands up against the better fighters with Hatton and Ndou taking him the distance. I don’t think Brook will have the power to keep Jones off him and can see Brook taking the decision win. As I said, it’s time for Brook to make a statement tonight. Kell Brook will face off against Carson Jones at Sheffield’s Motorpoint Arena on July 7 in an IBF title eliminator. Jones, ranked 3rd by the IBF, is 25 and his record currently stands at 34 wins (24 via KO), 8 losses (2 via KO) and 2 draws.The winner will face off against the IBF champion, which will be decided when Mike Jones faces Randall Bailey on June 9th. The fight is a step in the right direction because a win here will give Brook the title shot he craves. His opponent might not be the big-name we were all hoping for but it will be extremely difficult for Brook to get a big name to come and fight in Sheffield, until he holds a title. He has no bargaining chip right now. Having said that, it’s a good test for Brook and I do expect him to come through this with no problems, possibly winning via stoppage. That should then spring board Brook to a title fight, which will probably take place in America and allow Brook to gain more exposure which will only enhance his career prospects. Brook’s showdown with Jones headlines a great night for British boxing, dubbed “Edge of Glory”, with Gavin Rees and Derry Matthews meeting once more with Rees European title and Matthews British title both on the line. Kerry Hope will also defend his European title against the man he defeated for it on the Brook-Hatton undercard, Greg Proksa. Feel free to leave your predictions and thoughts. 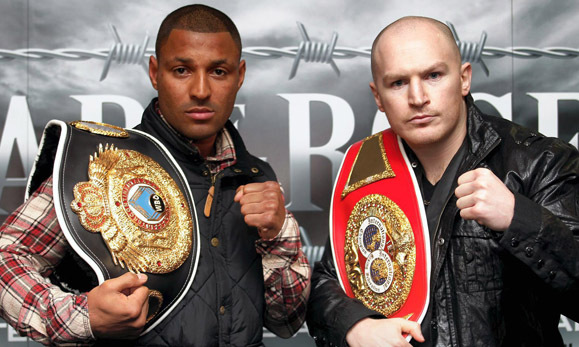 Kell Brook will do battle with fellow Brit Matthew Hatton on March 17, in a clash dubbed “War of the Roses”. Special K will look to extend his unbeaten run against the tough Mancunian at the Sheffield Arena and will hope that an impressive win will see him get his world title shot. Hatton, who will be fighting in his 50th professional fight, stands in his way as the two battle it out to determine who the best fighter at 147lbs in Britain is. I have to say I’m a little disappointed with this fight being made. No disrespect to Matthew Hatton but he’s a European level fighter and we’ve already seen Brook dismantle people at European level. We know Brook is better than European level; he’s ranked top 10 by all the governing bodies. The question fans want answering is whether Brook is good enough for the world and elite level. I know Eddie Hearn, his promoter, is still building up the “Brook” brand and at least he’s becoming more active but if Kell’s as good as he and Hearn say he is, chuck him in there with some real quality opposition. The phrase “If you’re good enough, you’re old enough” springs to mind. For me, Brook should have been facing a Pauli Malignaggi, Mike Jones, Carlos Quintana, Joshua Clottey or Vyacheslav Senchenko. Those are the sort of fights Brook needs so he can get an indicator of how close he is to challenging for a world title. But with that said, it’s a decent scrap for the British public to get behind and will provide another chance for Kell Brook, and Matthew Hatton, to gain some much needed exposure. Hatton is a durable and tough fighter and I expect him to put up a decent fight but his style is tailor made for Brook and I can see nothing other than a Brook win, possibly by a late stoppage. After this fight Brook and Eddie Hearn need to really look at stepping up his level of opponents. Kell “Special K” Brook will be hoping a dazzling and performance on his American debut will catapult him to the brink of a world title shot. The Sheffield native faces Luis Galarza in a 10-round contest on the Froch-Ward under card. The WBO’s number two ranked welterweight knows an eye catching performance will only further enhance his growing reputation as he bids to make a name for himself stateside. This is nothing more or less than a tune up for “Special K” so he can look good on his American debut. Brook has done a lot of talking recently, especially regarding a contest with fellow Brit Amir Khan, but now is the time to step up. His opponent boasts a decent record with 17 wins from 19 fights but 2 losses. But he faces a real step up in class when he faces Brook who will be looking to impress. I expect Brook to win via KO and look flashy doing so. Once he gets this fight out the way, I’m hoping promoter Eddie Hearn can get him some competitive fights because that’s what Brook needs to test himself so we can find out how good he really is.